I've been wearing compression socks for a few years now and one company that amazes me with the colors, selection, and quality is ProCompression. Right now, ALL of there merchandise is on sale at ProCompression. Yes! This includes their new Neon Calf Sleeves, Team PC Gear (hats and visors! 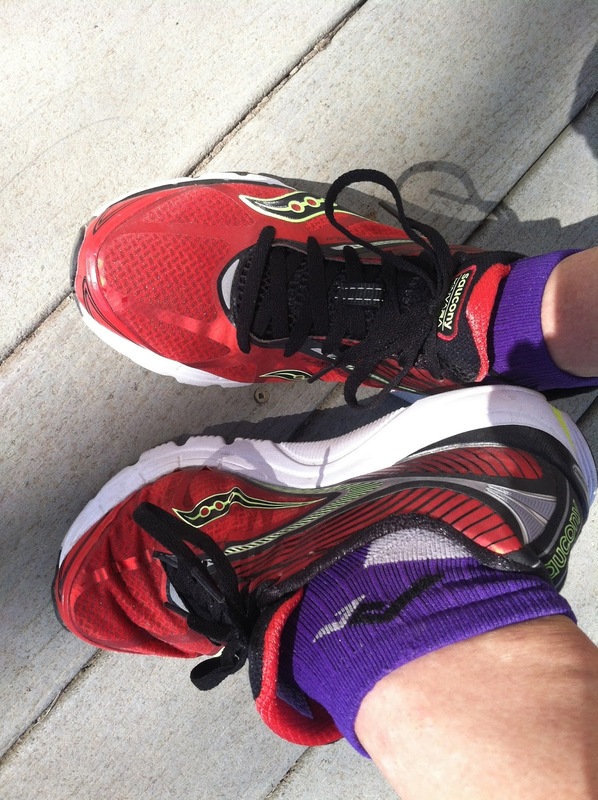 ), trainer socks, marathon socks - YOU NAME IT! fun combination! I definitely recommend it! All you do is head over to ProCompression, load up your cart with goodies, and use the coupon code JULY, which expires August 4, 2013. This makes me so excited because I am needing to load up on some neon sleeves! And maybe I'll buy Ward something too. He does love his compression as well! Very cool - my dad was just asking about compression socks so I'm definitely passing this on! I LOVE COMPRESSION GEAR! Especially of the neon persuasion! Ooh, I'll have to hit up the sale. I love PRO Compression! I love Pro Compression socks! I like how they do holiday versions and such.